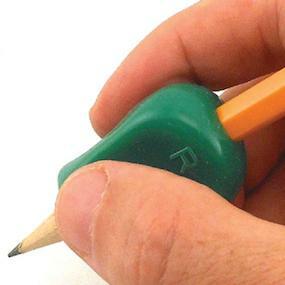 Thumb is placed on "R" or "L."
Fits on a variety of writing tools. 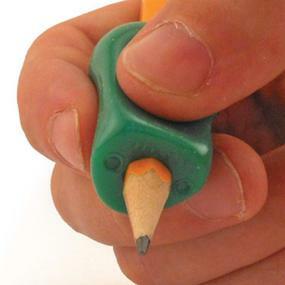 About The Pencil Grip, Inc. Invented in 1992 by Dr. Lois Provda, a prominent educational therapist, The Pencil Grip became a family endeavor. Two decades later, the company is still run by the Provdas. The family is incredibly grateful to the millions of parents, teachers, and therapists who have put their trust in their products. 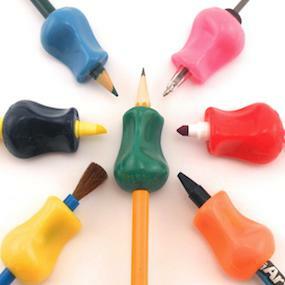 For a comprehensive list of products from The Pencil Grip, Inc., visit amazon.com/thepencilgrip. Arthritis Foundation recommended as "easy" and "comfortable"